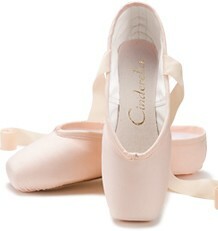 So far, the Capezio Tiffany model is looking like a wonderful alternative to the discontinued Odette model. 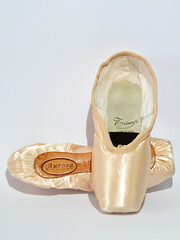 I am always pleased when pointe shoes are made with shorter vamps and having another model available with shorter vamps will make dancers with short toes a bit happier. The Tiffany hasn’t yet been added to any of the Capezio websites, but is being sold through popular dance supply companies here in the U.S. 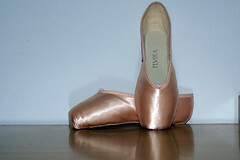 The Tiffany is lower cut on the sides and heel, similar to the Aria. The best thing about this model is being able to order it with a hard shank. 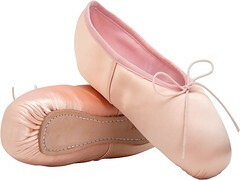 Only time will tell if this model will become popular and sell well for Capezio. Because the Tiffany is just now becoming more well-known, reviews and opinions have been very few. 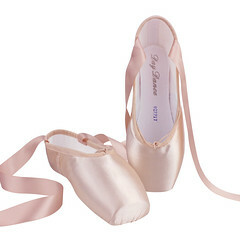 The Tiffany is very pretty and I wish Capezio success with this new pointe shoe model. 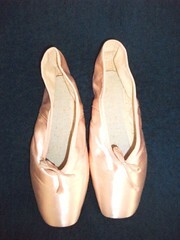 This entry was posted in Pointe Shoe Images and tagged capezio, Capezio Tiffany, Pointe Shoe Brands, Pointe Shoe Images. Bookmark the permalink. 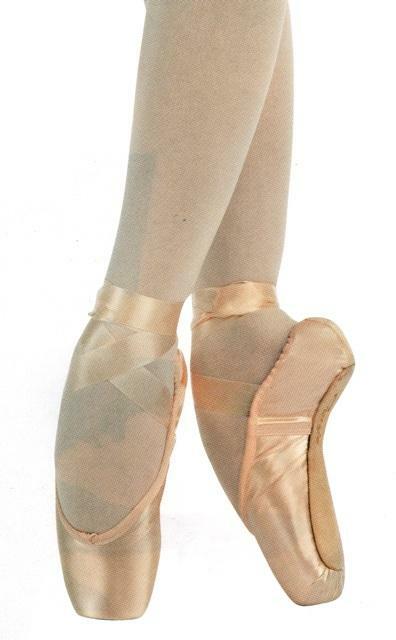 I saw the Capezio ad for these in Pointe Magazine on Saturday and ordered a pair from Discount Dance immediately after a quick Google search. I was surprised Discount Dance didn’t advertise it more visibly. I just wanted to thank you a million times over for your blog. I’m doing a research project on pointe shoes and it is basically impossible to find all the countries that make pointe shoes in one website. Thank you for saving my project! Oh, I’m so glad you like it, Jess and good luck with your pointe shoe project 🙂 It seems pointe shoe research never ends around here…. Do you happen to know exactly the difference between #3 and #5 shank? I’m ready to buy my second pair of Tiffany (I LOVE THEM!!!) and I’m wondering whether Pro or regular makes more sense. With Capezio, shank hardness/ strength increases with number. This is my second pair of Tiffany’s. The moment I got into them the shank broke. It broke at the highest point of my arch which is where it broke last time (resulting in me getting new ones). I hadn’t even had the shoes for an hour! Should I just cut the snapped part of the shank off and make it a 3/4 shank? Should I look for a shoe with a harder shank? 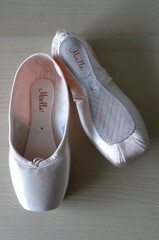 It’s still danceable and feels comfortable, but I want the shoe to last a while. I have really strong feet with high arches. Maybe this isn’t the right kind of shoe? Help! !